These are ready blends recommended in ancient Ayurveda and Sidhha texts used for prevention or healing, as cosmetics or as supplements . Action: Uterine stimulant, abortifacient, toxic. Seeds teratogenic. A paste of seeds is applied on vitiligo patches. Along with other therapeutic applications, the Ayurvedic Pharmacopoeia of India has indicated the use of seeds in baldness. Seeds contain abrin, a toxalbumin, indole derivatives, anthocyanins, ste-rols, terpenes. Abrus is a specialty flowering plant seed of our product range. 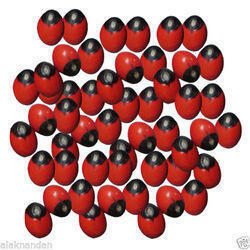 Its seeds are also used for making jewelry. While its leaves are also consumed as a tea to treat fevers, coughs and colds. To ensure high quality of freshness & purity of abrus seed, we maintain a high quality selection process of this specialty product supervised by our experienced herb experts. We have reached the pinnacle of success and earned a reputed name by providing high quality range of Abrus Precatorius. We have marked a reputed position in the market by providing a high quality range of Jequirity Seed. 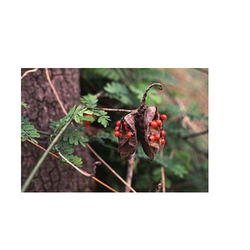 Abrus precatorius is very effective in treating leucoderma. It you are infected with acne sores or boils, the leaves of the herb serve as a great medicine. It also helps getting you rid of itching and other skin related problems.